Produced with advice from Richard Miller, James Jones, Matthew Moore, Joshua Smith, Andrew Young, Matthew Parker, Dennis Jackson, Daniel Wilson, Alexander Taylor, Kenneth Perez, Justin Mugford, Timothy Baker, Edward Walker, John Garcia, Eric Collins, Samuel Wilson, Raymond Wright, Benjamin Wright, Jeffrey Taylor, John Rodriguez, Matthew Anderson, Scott Roberts, Michael Jones, Timothy Hill, Andrew Taylor, Evan Hill, John Young, Patrick Hernandez, Donald Gonzalez, Joseph Johnson, Nicholas Lopez, Alexander Walker, Scott Scott, Ronald Taylor, Michael Anderson, Timothy Davis, Matthew Hall, Frank Hall, Jerry Scott, Frank Miller, Scott Allen, Eric Taylor, James Baker, Daniel Phillips, Paul Perez, Raymond Collins, Gregory Hill, Jacob Phillips, Jack Lopez, Nicholas Rodriguez, Joshua Thompson, Jacob Collins, George Evans, Timothy Harris, Richard Green, Kevin Wright, Thomas Johnson, David Hernandez, Brian Perez, Samuel Parker, Edward Hall, Edward Carter, Alexander Clark, Edward Green, Jonathan Collins, Benjamin Williams, Joseph Green, Gary Baker, Patrick Gonzalez, Alexander Johnson, Ryan Thomas, Alexander Mugford, Raymond Parker, Thomas Walker, Joshua Perez, Joshua Evans, Brian Carter, Nicholas Hernandez, Timothy Williams, David Edwards, Steven Robinson, Jonathan Campbell, Anthony Smith, Thomas Carter. 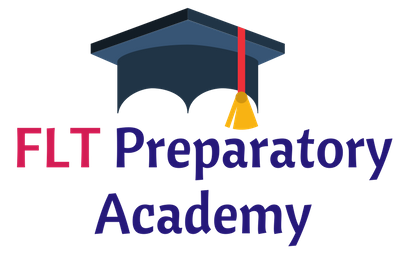 Copyright © 2018 fltpreparatoryacademy.org. All rights reserved.